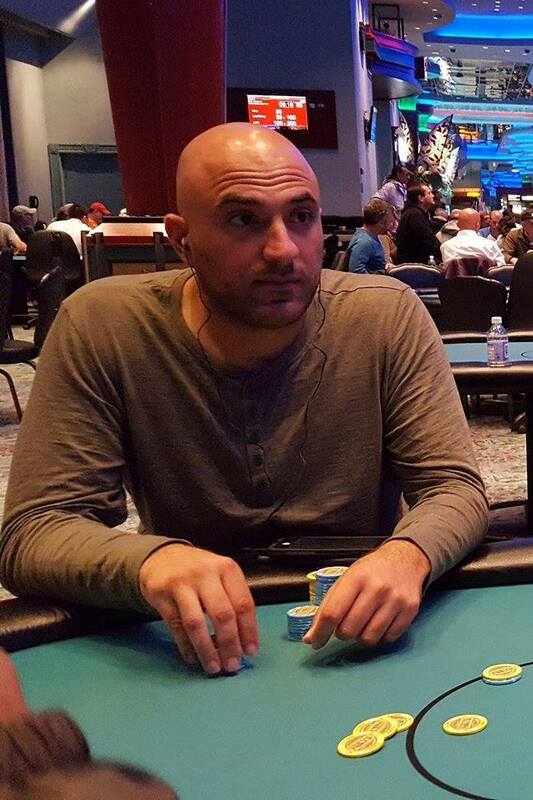 Abraham Nahas shoves all in for around 175,000 from the small blind and gets called by big stack Jeremy Meacham in the big blind. The flop comes A♥K♠7♥ giving both players a pair of aces, but maintaining Meacham's lead with his higher kicker. The 5♣ turn and 6♦ river do not change the hand and Nahas is eliminated in 6th place.